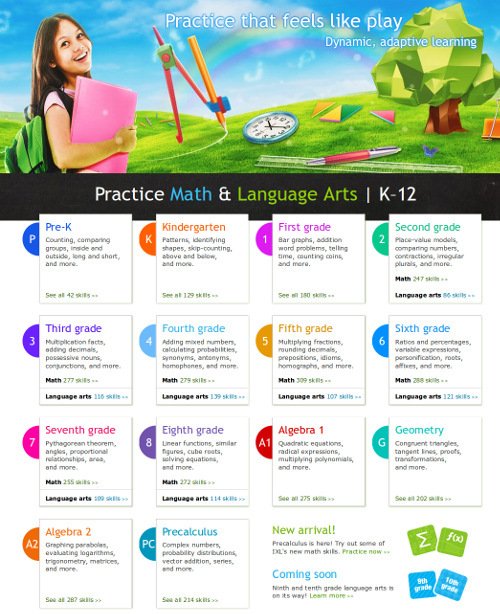 IXL (from "I excel") is a math & language arts practice website for K-12 (subscription based). 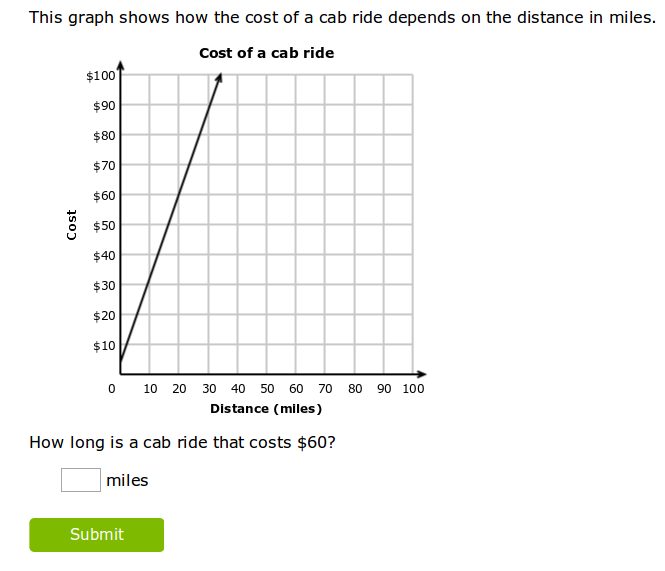 It has unlimited questions on thousands of math topics and a comprehensive reporting system. This review concentrates on the math part of IXL. The first thing I noticed about IXL was their use of color and the illustrations of smiling kids. I really like the colors and the pictures; they make the site appear very inviting and friendly. Overall, the layout is very good, and navigation within the site is very easy. For each grade (currently pre-K—calculus) there are over a hundred of skills listed, organized into categories. These are quite comprehensive and there is both breadth and depth present in the quantity and quality of topics. The skills to be practiced not only cover calculations but are quite varied. For example, for each grade, there are plenty of topics in the sections for time, measuring, money, geometry, and graphing & statistics. You can see the list of skills (topics) for each grade without subscribing, and also see a sample question for each skill by hovering your mouse over the links for the skills. The system has separate sections for kindergarten and preschool, which age-appropriate skills to practice. My younger child seemed to enjoy the number line activities on kindergarten level. Here, a parent's help is probably needed to read the questions. In first grade we see lots of skills related to addition and subtraction. 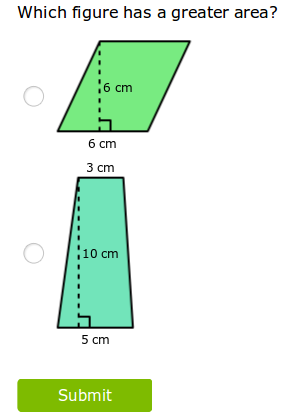 There are both "skill builders" – questions which provide lots of practice – and also skills that practice and test conceptual understanding, such as finding a related subtraction fact or using a 100-chart to answer questions. In second grade, besides the many addition and subtraction topics, we find skills for geometry, time, measurement, money, data & graphs, fractions, probability, estimating and comparing. In third grade, besides simple calculations, children also fill in subtraction patterns, find missing numbers OR missing operation symbols in equations, and solve multi-step word problems. Some skills practice logical reasoning, such as the skip-counting puzzles, age puzzles, and "guess the number" type puzzles. My daughter enjoyed these a lot. For 3rd grade they have a print workbook now to pair with IXL you can order on Amazon here, which is a really great value at only $8.99. And the levels go on all the way up through calculus. So, the breadth of skills covered is indeed quite impressive. 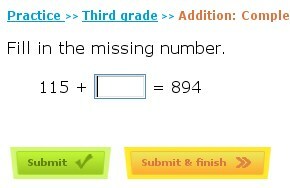 In fact, a few topics in each grade seem quite advanced (such as long division or mean and median on third grade). That adds to the variety and depth so that the practice environment can be used by anyone, no matter what curriculum or standards they are following. IXL also provides you the tools to limit the skills in a particular grade to those covered by your standards. While browsing the skills, you can mouse over any skill name to see a sample question - and this works even if you haven't subscribed. 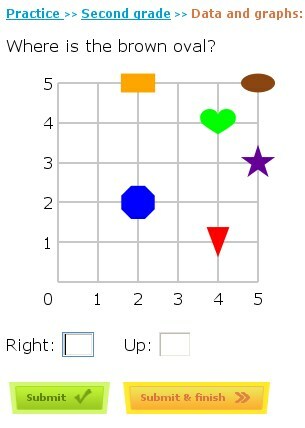 Once a child has completed some questions in any particular skill, the little color symbol next to that link will change, indicating the progress. The questions also adapt to the child's ability, increasing in difficulty as they improve. The system is measuring how much time the child spends on any particular skill and that shows up in the reports; however it is not setting time limits on any questions. Very detailed reports are also available. They show you the number of questions attempted and missed, and how well any particular skill has been mastered (provisional/needs improvement/satisfactory/good/excellent/mastered). The program even tracks the time spent on any skill. Kids also earn awards once they complete a skill! Go take a look! You can practice and answer 10 questions for free. But even if that was all used up, you can hover over the links to see a sample question in each skill, which basically lets you preview the whole site. I didn't really find anything negative to write about. The site delivers what it says it does, the questions were good, my kids liked it – everything was just fine. The only negative I experienced was that logging in seemed to be slow sometimes. Overall, I think IXL is an excellent practice website. It has a good variety of problem types, good reporting, and is easy to use. It can supplement any math curriculum you currently use, be used for review/reinforcement – or for some summer "fun" math time. It also has an extensive section on language arts skills (grammar, punctuation), as well as science and social studies content for grades 2-8. IXL.com math, language arts, science, and social studies practice website. Subscriptions: $9.95/month, $79 a year, for one child; each additional child $4/month. Yearly plan: $79/year.